In the battle against cancer, immunotherapy is proving to be one of the most promising avenues of research. 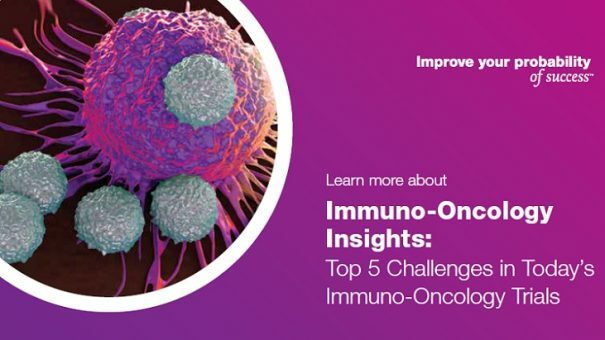 As initial checkpoint inhibitors come to market, the immuno-oncology development landscape is exploding. Now, the pressure is on to apply insights from existing studies to ensure future trials are quick and efficient, yield high-quality data, and assure patient safety. • Understand the impact of new therapies and care standards on trial planning and design. • Identify new demands of laboratories for expedited TAT and fail-proof sample tracking. Click here or on the image below to access the webinar.